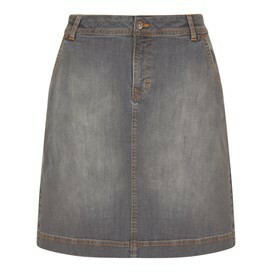 Choose our new Ria denim skirt, the wardrobe essential that you can wear with so many outfits this season. A classic five pocket denim skirt with a vintage wash for that pre-grooved feel. Cut just above the knee, the Ria denim skirt is made from high quality cotton with a bit of stretch for an extra comfortable fit. 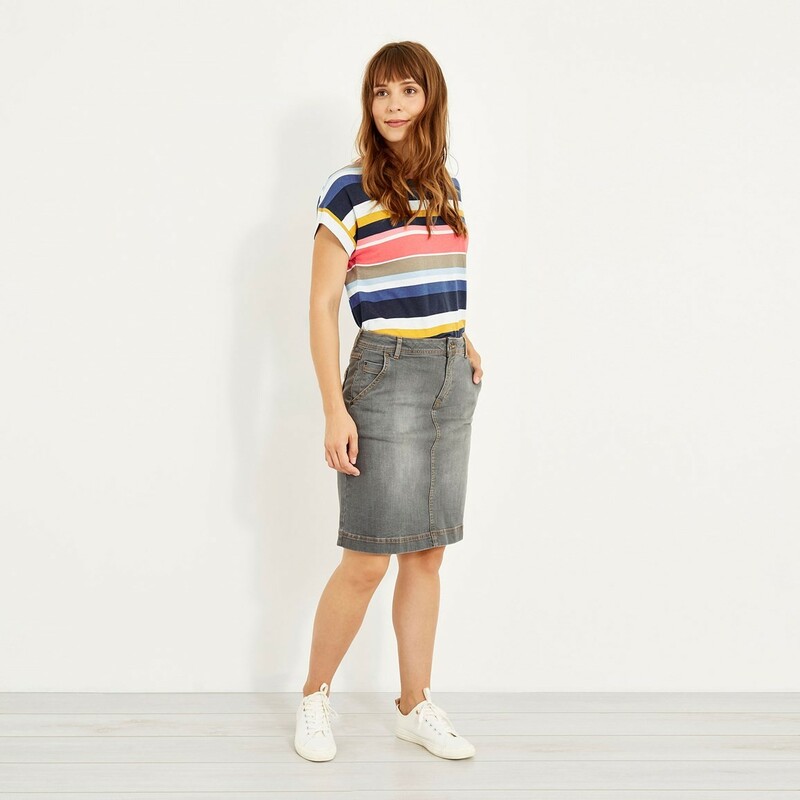 All the best parts of your favourite jeans packed into an easy to style skirt. 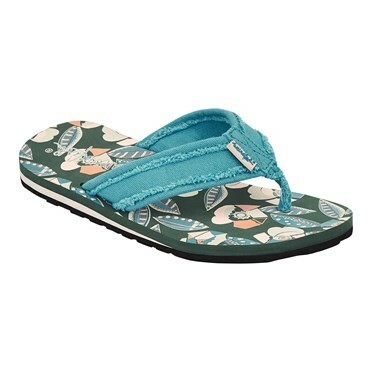 Feels comfortable and the style is straight and it doesn’t flare out at the bottom like other brands. 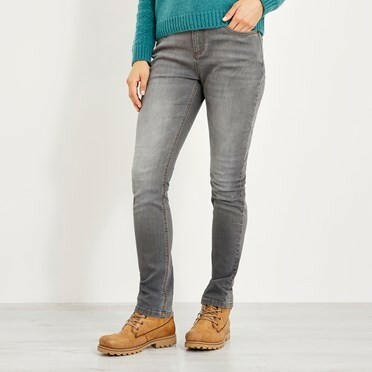 At last a denim skirt that is the correct length and fit. Great quality too.